So, your baby is probably one of the coolest babies you know, right? 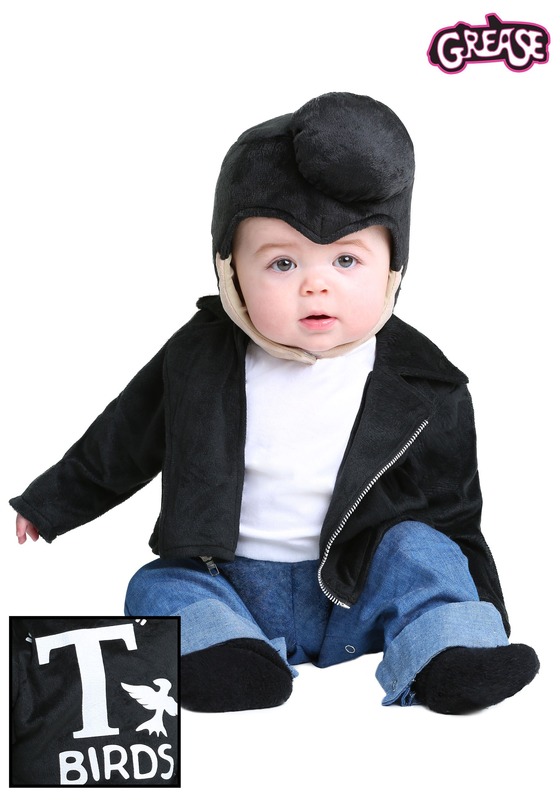 Well, we think its time all the other parents understand exaclty how cool your baby is and we know just how to show them. 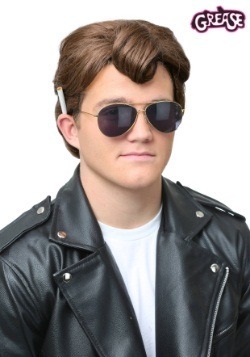 When you see basically anyone, you can tell right off the bat exactly how cool they are by what they’re wearing. 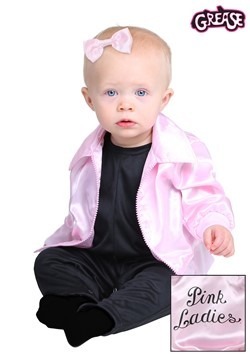 Well, when everyone sees your tiny tot dressed up in this Grease-themed infant costume on Halloween, they’ll know for a fact that your little one is clearly the coolest baby in town! 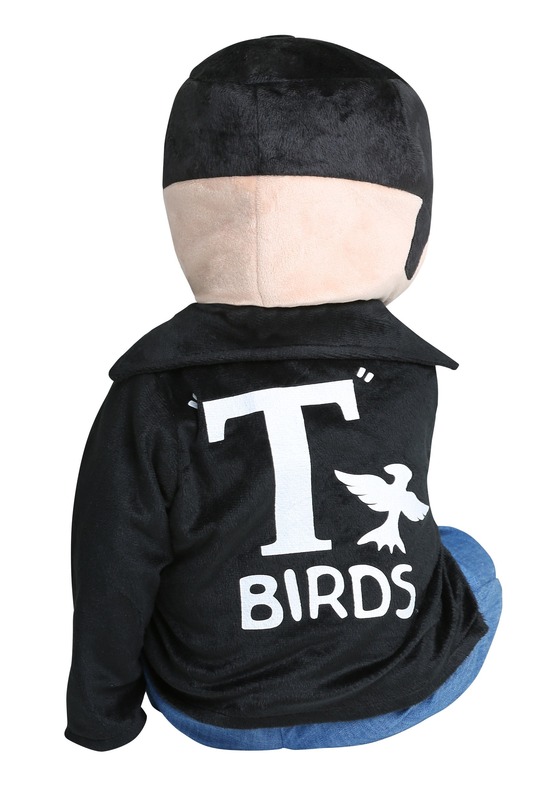 Now your baby can finally run around with his fellow T-Birds in style and do all sorts gang stuff with his buddies. 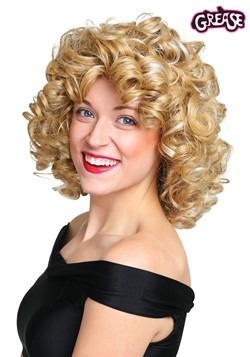 We’ve all seen the movie, so we know exactly what that’s going to entail! A whole lot of singing and even more choreographed dancing. 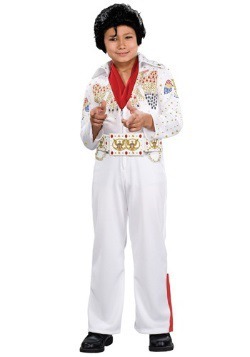 Hopefully, your teeny T- Bird is starting to get the whole walking and talking thing down… if not, well at least he’ll look the part perfectly with this officially licensed costume! The onesie has tank top material sewn to the fake denim pants and it also has snap closures on the legs to make for an easy diaper change if needed. The jacket is made with a full front zipper and has the T-Birds logo printed on the back. 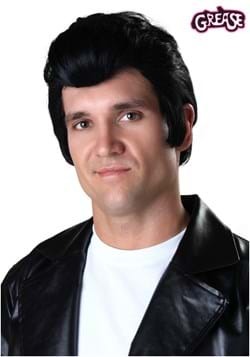 The headpiece is stuffed to give off a 3-D effect and is also designed with a hook and loop closure under the chin to ensure his ‘hair’ is always looks as slick as can be! If you’re ready to have the coolest baby in the neighborhood then grab this Infant T-Birds Costume. Just remember that along with the singing and dancing, we also learned the T-Birds like to race cars… so maybe hide your keys this Halloween, just in case.